Sterling Silver. Size: 1.8 x 0.8 x 2.5cm. This original and intriguing design combines textured (matt) and polished silver finishes. 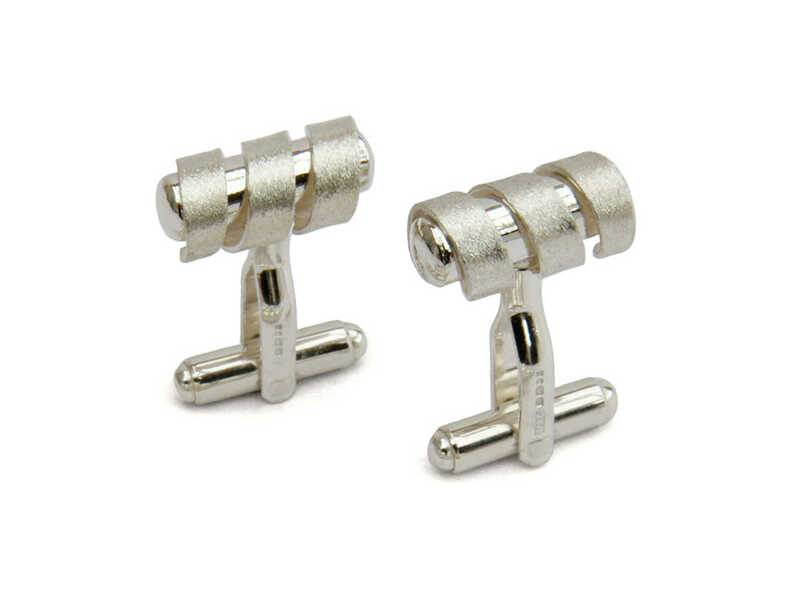 The textured silver coil, which is a separate moveable part, is secured into position onto the inside cufflink bar creating a playful effect.